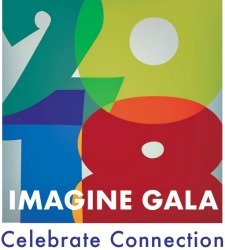 Join us for the 2018 Imagine Gala: Celebrate Connection! Staff are ready to help local residents register to vote, with registration forms available at our Antioch office. We're competing with other local non-profits that belong to the Family Economic Security Partnership, so don't delay. 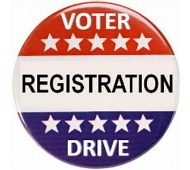 The deadline to register to vote for the June primary is May 21st. 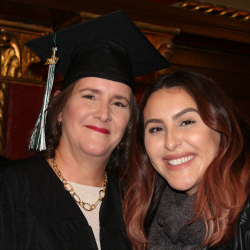 Denise Mata was shocked and heartbroken to find herself unexpectedly unemployed. After 20 years working for the County in the Head Start Program, Denise thought she was in her retirement position. But the County eliminated six positions, determining that they were not needed in the community she served. "It was a scary time. I also felt blind-sided and hurt losing my position so abruptly. I was 51 when this happened and knew it wouldn't be easy to find a new job, especially with outdated skills. I had always given out information about Opportunity Junction as a resource; I never expected to become a client," shares Denise. Denise knew she had made the right decision the minute she walked into Opportunity Junction and was greeted by every person she met. "I thought I needed the technical skills, and I did, but I received so much more emotionally. LifeSkills became a place where I could be myself and share my personal experiences, struggles, and barriers. I built wonderful friendships that continue to offer support. It is so much more than a program; it's a family." Denise's first position after training was not her dream job. "I was desperate for income and took the first opportunity that came my way. However, I knew that I could keep working with OJ as an alumna to find a better position." 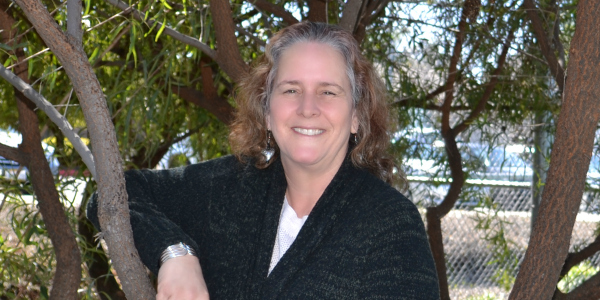 After tenacious job-searching, Denise landed a full-time position with benefits as a Community Health Worker with Contra Costa County Health Services Community Connect Program. "My improved self-confidence and computer skills were crucial to getting my new position. I use my new computer skills every day in my job! I also see a future and opportunities for growth in my career. I feel appreciated and respected in this position. I am blessed to have had the opportunity to experience being a part of this wonderful organization." March is Women's History Month, an opportunity to highlight the contributions women have made in academia, business, the arts, government, and the community in general. 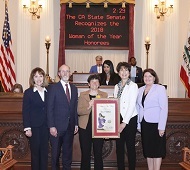 For the first time in 10 years, the California State Senate brought back its Woman of the Year ceremony to honor women making history today. 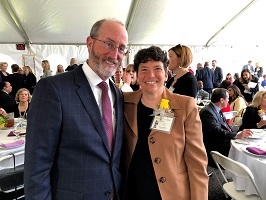 State Senator Steven Glazer selected Opportunity Junction's Executive Director, Alissa Friedman, as Senate District 7's honoree. 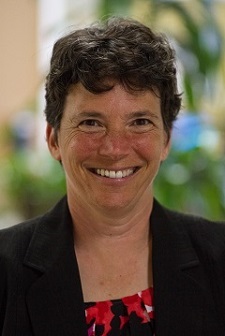 Since taking over as Executive Director in 2003, Alissa has overseen Opportunity Junction's growth from a pilot workforce development program into a local hub for training, education, and job placement. "Last year, our team made 119 unique initial placements at an average starting wage of $14.50," Alissa states proudly. "That compares to just 19 placements during my first full year as Executive Director in fiscal 2003-04." Senator Glazer has taken strong actions to support the needs of the vulnerable, voting to raise the minimum wage, and to ensure financial support to infants born while their families are receiving CalWORKs grants. He will be hosting a reception to further honor Alissa at Opportunity Junction on March 29th from 3 to 4:30 pm. Please bring a friend and join us at 3102 Delta Fair Blvd., Antioch, CA 94509. Meanwhile, Alissa wants to make sure the credit is shared with the staff, board, donors, volunteers, and job seekers who are responsible for making it happen. "Ask any of our job seekers," she says, "and they'll tell you that we have a genuinely caring and dedicated team that welcomes them as full members of the Opportunity Junction family." It's been 18 years since Opportunity Junction opened our doors to help the local community and we couldn't have done it without your help. The lives of low-income families across East Contra Costa County have been transformed thanks to the generosity of our many donors, sponsors, employers, and volunteers. With your help, we are able to serve more than 900 individuals annually! 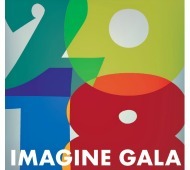 The Imagine Gala has raised more than $1 million since 2007 to support low-income job seekers in gaining the skills and confidence to launch self-sustaining careers. The 2018 Imagine Gala honors the hard work and giving spirit of the Opportunity Junction community. Join us on May 5th at the Diablo Country Club for our annual fundraising gala that supports life-changing employment programs in East Contra Costa. It will be a fantastic night of imbibing, dining, dancing, and bidding! Delicious hors d'oeuvres, wine, and a silent auction start the night followed by a gourmet dinner, an alumni success story, live auction, and dancing. Please join our presenting sponsor Chevron, platinum sponsor A.D. Seeno Construction Co., media sponsor Diablo Magazine, gold sponsors U.S. Bank, J.Stokes Agency, and Temen, Kaiser, and Cameron, and many others in breaking the cycle of poverty for our Contra Costa neighbors. RSVP online at https://www.opportunityjunction.org/tickets. Tickets are $150 each. Cocktail attire, no denim please. Call Eva at (925) 776-1133 for more information. See you there! Opportunity Junction's innovative Technology Center bridges the digital divide for low-income adults who, through lack of computer skills, lack of Internet access at home or both are unable to utilize vital information resources, including job postings and applications, survival information, and communications. The Technology Center is open to the public Monday through Thursday from 6:00pm to 9:00pm, providing open access to computers and conducting an on-going series of computer classes that are accessible to low-literacy individuals, and all at no charge to users. This structure recognizes that computer skills are essential skills for advancing along a growing number of employment tracks. A rotating series of classes is offered three times per year, and include Computer Basics or Computer Intermediate (Windows, Internet, Email, Excel, Word, Spanish Basics, PowerPoint), and Computer Basics in Spanish. We also offer a drop-in typing course. 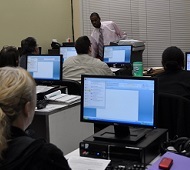 The Technology Center also addresses the need for English language education by providing multi-level classes in adult ESL (English as a Second Language) twice a week for three hours a night. Using proven curricula and emphasizing personal attention, classes are intentionally designed in a "drop in" format, enabling participants to readily integrate the classes into work and family schedules. Managed by Program Coordinator Arcie Alvarez, a graduate of Opportunity Junction's Job Training and Placement Program, the Technology Center relies heavily on volunteers to oversee the reception desk, as well as teach or assist in classrooms. Says Arcie, "I love working at the Technology Center. It's a place where people can gain confidence on computer skills as well as English as a Second Language and basic Spanish. My favorite part is when I see the participants receive their certificates with a big smile on their face." Students love our volunteer instructors, who enthusiastically commit to sharing their knowledge. When surveyed, 96% of our Technology Center students rate the instructors as good or excellent. 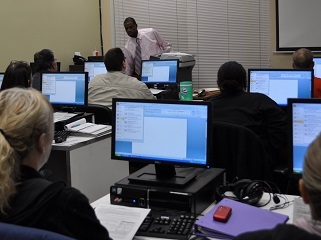 Cher, who recently attended an Excel class, emailed, "Who says learning shouldn't continue into adulthood? One of the great challenges in adult school is the difficulty in balancing education and a full-time career. Opportunity Junction has offered us flexible after work schedules that are manageable. This gives mature learners like us the chance to increase our knowledge, develop new skills, and gain helpful qualifications and credentials." Each year, over 500 adults use the Technology Center: 45% want to gain computer skills, 20% want to get a job, and 20% want to improve English language skills. It's easy to sign up for classes. Just drop by the office, call in, or register online at https://opportunityjunction.org/free-classes. Antioch Area Community Fund at the East Bay Community Foundation: The Antioch Area Community Fund at the East Bay Community Foundation has issued a grant for core operating support. The fund focuses on the high-need communities of East Contra Costa, with a special emphasis on Antioch. BAC Community Bank: BAC Community Bank approved a new grant to support the Job Training and Placement Program. The family-owned bank first began business in Brentwood over 50 years ago and remains focused on providing high quality local community banking to the families and businesses it serves throughout eastern Contra Costa, San Joaquin, and Stanislaus counties. Pacific Service Credit Union: Pacific Service Credit Union renewed their support by awarding a grant to support the Job Training and Placement Program, participants and alumni support to meet their most basic needs. Pacific Service Credit Union takes pride in being a good corporate citizen and an active part of the communities they serve. Summit Financial Group: Summit Financial Group awarded a grant for core operating support, presenting it to Opportunity Junction in February at their annual Summit Symposium. At Summit, community service and betterment is a passion and duty. Wells Fargo: Wells Fargo awarded a generous grant for the Job Training and Placement Program. Wells Fargo and the Wells Fargo Foundation focus their philanthropic activities on creating long-term, strategic relationships with nonprofits and other organizations to create innovative, sustainable solutions to meet local needs.